As we continue our study of the Second Coming of Christ and we continue our development of the Maranatha Mindset as explained by Christ in Matthew 24 and 25, we come to a description of what God requires of us until he comes. We are called to BE something that is vitally important as part of our mindset. Jesus lays out an argument for us in the form of a grand contrast which will result in either a positive result or a negative result based on how we live our our faith. The music at the end of the sermon is presented by the WellSpring praise team for you to contemplate and pray about your response to God’s Word. Our praise team is under the leadership of Micah Williams. 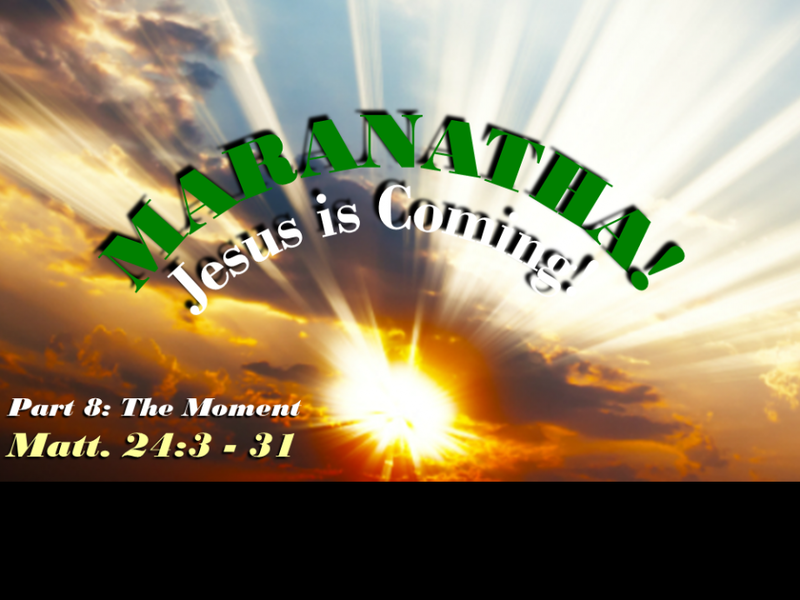 Maranatha is the Aramaic word meaning: Jesus is Coming! It became the declaration of the early church following the ascension of Christ as a reminder that we need to be about the Lord’s work because Jesus is coming back. This Summer series will investigate the doctrine of the Second Coming of Christ in the context of how a Christian should live based on this fact. Maranatha - Part 1 - The Mandate!